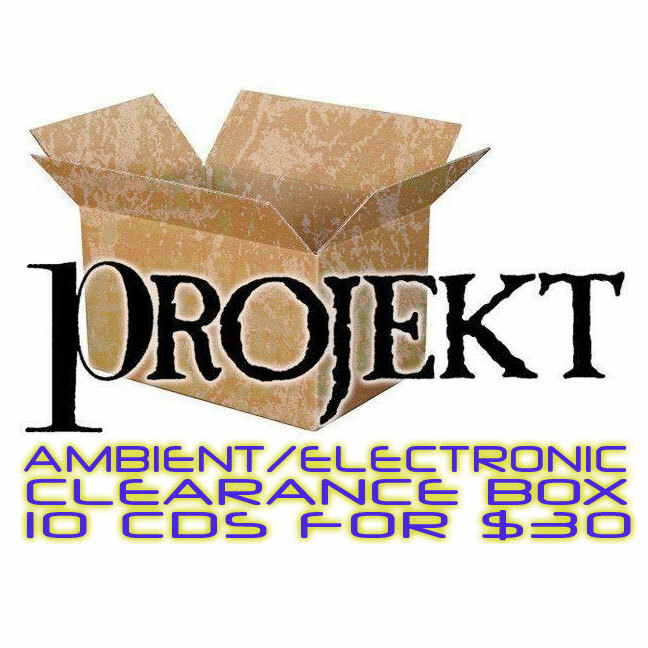 Our new overstock clearance box is exclusively Ambient and Electronic releases. 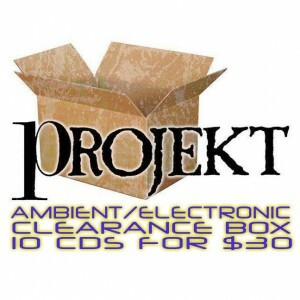 $30 gets you 10 random Projekt CDs: a surprise selection of amazing Projekt music. This offer is limited, order your box today! Important shipping note: Because there are 10 CDs in this package, it is more heavy than your average single item in our store, and is expensive to ship outside of the USA. You will receive a separate email with the additional $$$ amount required to cover the cost of postage. For USA orders, first class shipping is not available. • 10 CDs in the box. This is a ambient/electronic-focused package: all 10 CDs are ambient / electronic. • These boxes are pre-made from overstock CDs. We cannot put specific titles in for you. We pick the albums you receive. • All barcodes are struck. • CDs will NOT be in jewel boxes (this saves you postage). Most CDs are in digipaks or ecoWallets. • If you purchase two boxes, you will get the same titles twice. Bear that in mind. No refunds. • No refunds or replacements except if you receive a defective title. Then you will be issued a $2 refund.